Ever been in such a small capital? Victoria on Gozo, might be a small capital, but it has copious attractions to offer. Albeit its size, as a capital, Victoria boasts many culinary, touristic and shopping options that leave the visitor spoiled for choice. 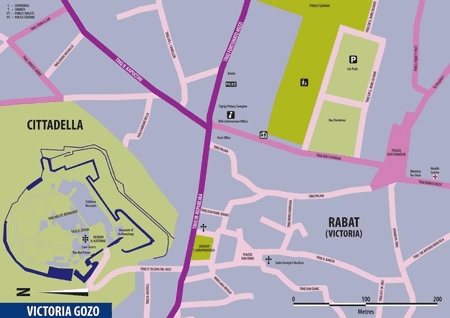 Rabat or Victoria, Gozo or Ghawdex? On a stroll in the capital you might come across the locals saying Ir-Rabat, or simply Rabat or Ghawdex (pronounced Awdesh) instead of Gozo and wonder what they mean. Well, that would be the name of Victoria and Gozo in Maltese. Although, many might argue, what is spoken on Gozo is Gozitan. Speaking of Gozitan, did you know that Gozo, for a fraction in History was independent? “A tiny island independent” you might say. Yes, absolutely! Gozo’s independence was an opportunity that arose from the French Revolutionary Wars. Gozo, and thus Victoria included, was independent for a full 3 years, between 1798 and 1801. Their monarch at the time was King Ferdinand III of Sicily and they had a flag and everything. Amazing, right? One could say, if you’ve ever lived there, that it might have made the Gozitans particularly island proud. But, hey, another thing you should know, is that they are incredibly friendly, helpful and caring islanders. Theirs doors are always open. They literally leave their front doors open, their car doors open and one could say their hearts open too. Rest assured, from my experience, when a Gozitan says he will help you, he will help you no matter what. Gozitan families are typically big and on Sundays in Victoria you will find the restaurants at lunch time packed with big tables, seated with all generations, always in order and in their best gowns, celebrating their coming together for Sunday mass and their weekly family (or familja in Maltese) gathering. That is also why, most traditional businesses in Victoria on Gozo are family run, by at least the second generation. The family bond is beautiful and strong. So, you might wonder, when did Rabat become Victoria or why? So, since the Nazione Gozitana, the independence that Gozo enjoyed had but a short life, another chapter commenced. Malta and its archipielago, where Gozo is its second largest island was made a British Protectorate in 1800 and then later into a British Crown Colony in 1813, meant that Britain made its imprint. The Maltese didn’t want the Sicilians nor the French to govern them and thus sought after British protectorate. And, in order to honour this strategic relationship, the Bishop of Gozo, in 1887 decided to name the capital Victoria, in honour of the then ruling monarch Victoria in the year of her 50th Jubilee. Another reason was also, that at the time, although the capital was considered the Citadelle, it wasn’t a city yet. Not only would this naming of the capital, now with city status be a homage to the Queen, it also meant higher status for the noble men of the time, since Victoria would be a city, or Città Ir-Rabat to be more precise. Another reason was that the Cittadella, found today at the centre of Victoria on Gozo, returned to the Gozitan, in 1798, held the court and prison, and cathedral but the population lived below the Cittadella, in the suburb, thus Rabat (meaning suburb in Arabic, and archaic Maltese). This elevated status would better represent the rising prosperity generated in the suburb surrounding the Cittadella. Anyway, the Cittadella couldn't be independent, since both parts depended on each other for survival. 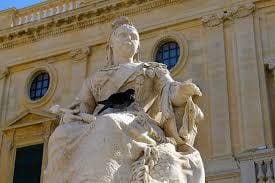 That is why Victoria as one, represented Gozo’s life so much more fittingly. So merging both parts meant consolidating these two important parts into one city and thus one entity. Today still, the Cittadella, or better Ic-Cittadella in Maltese is not inhabited and it hasn’t really been inhabited since the medieval period, where it served as a refuge for times where the island was under invasion. Life, commerce, agriculture happened around the Cittadella, and it is still the case today. Victoria has grown beyond what it was then of course but thanks to a strong local culture and one could almost say, local insistence on a particular regional identity, its authenticity hasn’t been lost. Also, with recent aid form the European Union under the European Regional Development Fund (ERDF), the Cittadella as well as the centre of Victoria have been renovated and polished and restored to former glory as well as improved in terms of infrastructure for the visitor. This is much like in la Valletta on Malta. In both Victoria on Gozo and the maltese capital, the honey coloured local stone came out to shine. The stone renders homage to the island, as it is literally, the stone that makes the topography of the island up. Gozo stone, was also the reason why the Knights of Saint John wanted to settle. They found this stone particularly suiting for sculpting as well as defence wall building, and thus enabled them to secure a strategic position in the world at the time. Surely demonstrated by their ability to forge themselves as a flourishing, prosperous independent state with great and noble calibre as well as influence for more than 200 years. 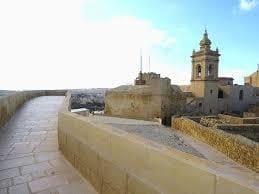 Their stronghold went from the failed Ottoman invasion of Malta in 1565 until the napoleonic invasion of Malta in 1789. Even with the many thousand tourists received on Gozo and Victoria yearly, the local spirit has remained unaltered and unadulterated, because even though Gozo might only be small and Victoria only the sixth city in the archipielago, it has known how to stay true to itself. The festas (feasts), traditional bakeries, restaurants as well as traditional craft shops, bustling life in the streets gives credit to it. And although traditions are alive and buzzing, Victoria is still accommodating of the many expats now calling Gozo their home and all the newcomers seeking a home on the island newly arriving. 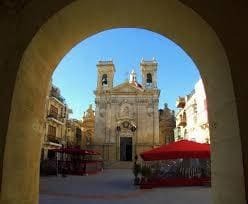 What to do in modern day Victoria, capital of Gozo? 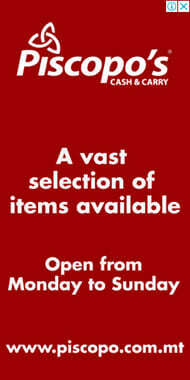 In Victoria on Gozo, you’re spoiled for choice! Be it a Pastizzi (a not to miss local scrumptious speciality) on St. George’s Square, a leisurely stroll through the old and narrow streets of the capital or an awe awakening 360° degree walk around the Citadella, Victoria’s fortified city. You’re in for a treat! Or how about a window shopping stroll along the bustling, Republic Street, Victoria’s main commercial road? Rest assured there will be an option for all types of tourists and visitors on Gozo. The options are many, which one will be yours? Victoria on Gozo also offers the chance to connect the visitor with all part of the island. Situated at the centre of the island, it is easy to get to other hotspots like Marsalforn and Xlendi, the two most popular beach resorts for example. The options are by road with a rental car, bike or scooter or with a local bus. Or if you are keen, by foot. Remember Victoria is the sixth city in the maltese archipelago and Gozo is only 7.5 km wide by 14km long. Small but full of wonders and history! You will be pleasantly surprised.